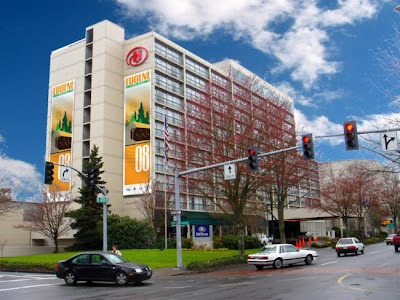 This week I’m in Eugene at the Oregon Building Officials Association Spring Institute presenting NFPA 72-2002. The good news is I can drive to work for a change. The bad news is I have to drive down, present a seminar, and then drive back home for a Portland event on Wednesday morning. It makes for a long day. This entry was posted in Eugene on March 19, 2008 by codewienie.